I now know why I've kept this blog alive even though I rarely post. It's to complain about companies that let me down, and Samsung is looking a lot like the winner as top loser. Dad's Samsung S4 phone lasts all of 18 months before suddenly it decides to reboot hourly, claiming incorrectly that the Sim card is not installed. The TMobile people tried several new Sim cards but no dice. In fact, their suggestion was to dump the phone I hadn't finished PAYING for yet and replace it with an S5. Yeah, right, as soon as I win the lottery. Thinking I could outwit the TMobile guys, I took the phone to a repair shop, which replaced the sim card portion of the board. The problem got worse, so the tech guy reinstalled the old one back in. Would you believe the behaved for a whopping hour. At least these guys didn't charge me. I then read online that the S4 tends to overheat and slowly melts some of the connections. Kind of a major flaw, don't you think? The temporary fix? Twist the phone gently. Would you believe that this stupid idea, which I found in a search, actually sort of works? I guess it's the modern-day method of pounding the side and top of the TV. It also turns out the Samsung S4 crashing the family router, which these days is more blessed than the menorah. Apparently, this is a KNOWN problem with Linksys routers, and maybe a few others. I guess my Netgear is one of those "others." On a lark, I turned off the auto cell-to-wifi-to-cell-to-wifi setting and the crashing stopped. Great, but now I lost key functionality in a house that barely gets any cell reception. My wife's Note II: The same WEEK my phone started having problems, my wife's 18-month old phone reboots itself and erases everything. The TMobile guys, who must be wondering what wall we throw our phones at, said the phone was rooted. Yes, I had to look that up, but for all you I-told-you-so Luddites out there: It means the phone was f@#$ed!! in a very unusual way. No one, not even my geeky tech friends, can figure out how this happened to my wife's Note; it takes same said computer geniuses several HOURS to do this manually. And it couldn't be my handsome, genius son, who tends play games on the phone when wife is not looking, because he just isn't THAT SMART. At least not yet. I now, however, have a great plot for my next novel: Poor teacher contracts out as a spy for the North Korean military, steals his colleagues' phones and spends hours rooting phones for ca$h. Seems about as plausible as my wife rooting the phone herself. The 7-inch Samsung tablet for Seth: Same freaking tablet -- bought on the same day as the one above -- dies a few weeks after we get Lael's back. Same exact problem. Samsung CHARGES ME for the same fix and refuses my appeal even though they KNOW they were contradicting their earlier decision. Samsung blames the kids for trying to shove the wrong cable into the USB port. The only problem with that? The kids only have access to the original Samsung cables and chargers and had been warned by me so many times that I would not replace their tablets that they treated both of them better than a blind Manga kitten. (You have to live in my house to understand that one.) Still, what's a good dad do for a son who gets nine-tenths of his daily sunlight requirements from the blue glow of a tablet? I pay to fix it. But TODAY that same tablet just developed the EXACT SAME PROBLEM. I guess it doesn't matter that the warranty is expired since they weren't honoring the original one anyway. Since it came back, this tablet has never left the interior of our house except maybe for short drives in my car, which is cleaner than any square centimeter in our house. There is simply no way that Seth abused this tablet. So now there is one Samsung product left in the house that hasn't had problems, and that's my wife's 12-inch computer replacement tablet. Then again, she's only had it for about 6 months, so the problems should start in just a minutes. Yea. "As far as I'm concerned, it's a tough time to be a father: High housing costs. Low-paying jobs. Too much time on the freeway commuting. Way too much stress. The list goes on toward infinite." I wrote the words above 10 years ago when I began this blog. (Note: I would have posted this on the anniversary of April 16th, but Typepad was knocked offline for a week by a Denial of Service attack.) During the interim years, I started thinking, "Ah, things are getting better for parents." Then the Great Recession, followed by years of unemployment and the dismantlement of the middle class, happened. And we can't forget the increasing threats of global warming, out-of-control college costs and nonstop cuts to public education. The rich in this country have been continually disenfranchising the middle and lower classes. Public school funding continues to be cut while Common Core or any sort of true reform is continually under attack rather than constructive support. Our politics are ruled by hate, not positive leadership. Food companies keep finding new ways to lessen the quality of that more expensive food. Fracking will continue to contaminate fresh water supplies. Global warming poses an actual threat to our children or grandchildren. Freedom of press continues to be eroded on numerous fronts, such as the destruction of newspaper companies and legal restrictions on the First Amendment. College costs continue to skyrocket. Perhaps the most telling evidence comes directly from my children, who blurt clues out when I'm driving them to and from various activities. "Dad, why are other kids so mean?" "Dad, why is fracking allowed?" "Dad, what are chemical weapons?" "Dad, why are rich people so mean to everyone else?" Those are the kind of questions that leave this dad speechless. Should I say, "We need to be careful to not become like that?" Or maybe, "Yeah, you're right?" Or how about, "Those are just the extremes?" Are they the extremes? What do I say? To be honest, I do not know. So Cox sent me a new Internet/phone modem a few weeks ago. I was nervous about installing it because there are always problems with upgrades, but I finally got around to it on Thursday. The five-minute install process became more than an hour because it failed and I was alerted by a message to call Cox. Hold took about 10-15 minutes. Good thing I have unlimited minutes on my cell. My Internet speed is usally around 20 Mbps and the second tech I talked to said it should be closer to 50 Mbps. So 3 is pretty abysmal. Cox operator 1 was able to get my Internet back up, but no home phone. (I have an Internet home phone for technical reasons.) The tech told me she would open a ticket after an hour of trying to get the phone back. A couple hours later, I called again to speak to Cox Operator 2 because my Internet kept freezing up. Apparently, that operator was unclear as to whether anything was being done based on my first call, so he arranged for a technician to come on Friday. Another 30-40 minutes wasted. On Friday, my Internet freezing seemed mostly gone, but still no phone. I had to cut a hike short so I could be at the house when the tech was supposed to come. He never came, nor did he ever call. On Sunday, I talked to Cox Operator 3, and she said my account would be credited $20 because the tech left me hanging. The next available tech visit couldn't be until Tuesday. I mentioned to the operator that I saw a Cox tech a couple blocks from my house and she offered to get him to my house, but he never showed. As the day progressed, I started having all kinds of Interet speed problems, so I rebooted the modem. Surprisingly, my phone started working BUT my Internet speeds dropped to an abysmal 3 Mbps. I pay a premium for the second-fastest speed available, which should be approaching 50 Mbps. I called Cox again and was kept on hold for 5-10 minutes. By the time Cox Operator 4 came on the phone, I was fairly irritated. I've been working on a video project with my son and the slow Internet speeds were killing us. Cox Op 4 kept trying to push the blame on me, even though I wasn't having any problems before I changed the Modem. I was irritated, but I wasn't yelling or anything when the jerk hung up on me. About 10 minutes later, I called back and talked to Cox Operator 5. She was pleasent at least, and listened to my story. Unfortunately, she had know way to help me. She rebooted my modem after I got off the phone and the speeds got even slower. Now I'm afraid to even ask for any more help. It's a miracle I managed to post this. Speaking of which, it's been a long, long time since I posted, so that goes to show just how frustrated I'm with Cox. UPDATE: It keeps getting worse. UPDATE: Suddenly started working fine today -- though I was told it should be twice this speed. I guess they don't plan on telling me what was going on since I haven't heard from anyone at Cox. There is a simple reason gun laws are not about to change in this country: Those who are against it do not have the political, organizational or financial strength to fight it. Just read the first two paragraphs of this NYT story to understand. Why would any state approve guns in a school setting? Because is there no group or organization strong enough to STOP them. Sure, school admins and teachers might complain, but they've been oddly disenfranchised throughout our society. Actually, the vast majority of us -- on both sides of the political fence -- have been disenfranchised for simple reasons. One such reason: In the past, the slide into poverty provided something that we no longer have: free time. During the Depression, unemployed people were out on the streets desperate. During the great Recession, most of us threw ourselves into finding work or looking for means to keep our homes. Most of us didn't join any political movements. There are other reasons: Facebook is a great forum, but it does not always create political power. In fact, it inadvertently weakens our political power in the United States because we are talking amongst ourselves in a highly disorganized fashion. Social media was effective in Egypt because everyone agreed: Get rid of Mubarak. In the United States, most of us are dissatisfied with the Dems and the Republicans, leaving us unwilling to throw our undying support for either party. To use Social Media to change things, we need a viewpoint that unifies all these disparate, unfocused complaints into an effective persuading force. As you may have guessed, the reason gun laws won't get passed applies to all types of issues that won't get resolved: The dismantling of employee rights throughout the nation; a health care system that doesn't work now and won't work under Obama care; and an educational system that pays 80-hour-a-week teachers who are required to get Masters' Degrees only $35,000 a year. The only way to get real change in this country is for a large group of us to agree on some core issues, raise money, organize like hell and force business and billionaire power brokers out of not just federal, but state government. 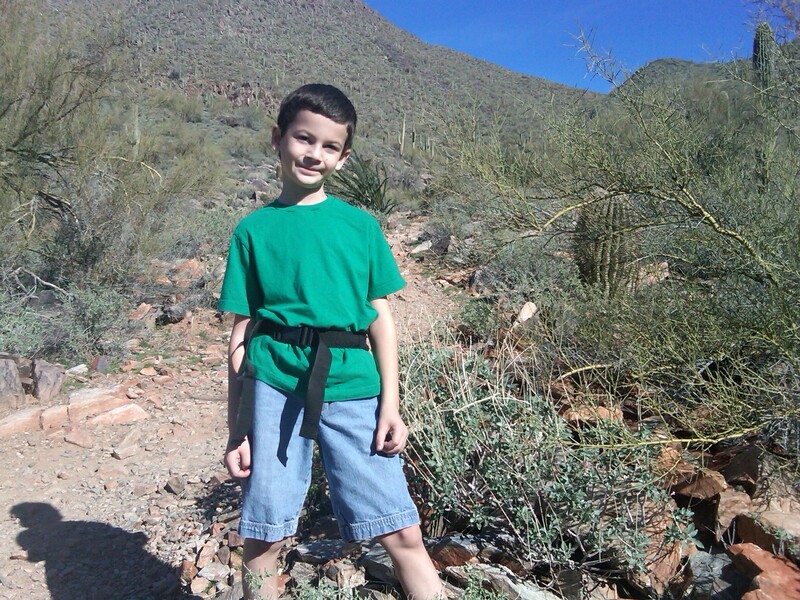 Seth on a very difficult hiking trail. We're using it to train for some backpacking. 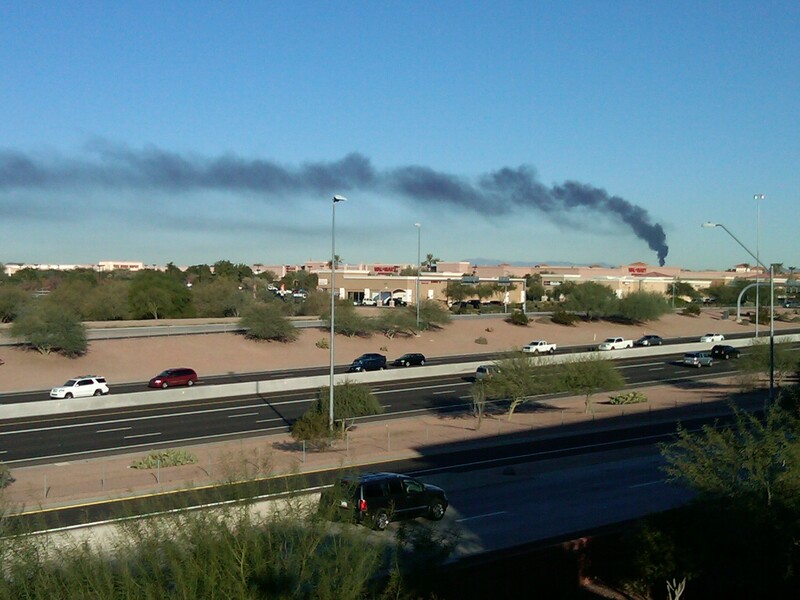 A Phoenix transformer has been burning near the Scottsdale border for 12 hours so far. Why are those who so ardently defend the Constitution not speaking up when police keep forcibly removing those who are trying to exercise such a clear and simple right? Congress shall make no law ... prohibiting the free exercise thereof ... the right of the people peaceably to assemble, and to petition the Government for a redress of grievances. Despite quotes to the contrary, I do not see anything in these words that provide for an exception to this right. Whether you agree or don't agree with the Occupy movement, protecting the First Amendment seems like a no-brainer. 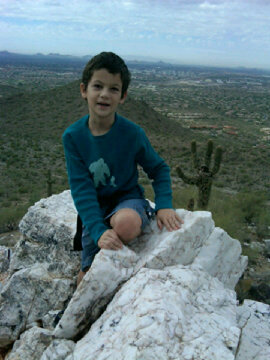 Seth and I hiked up Quartz Trail on Saturday. 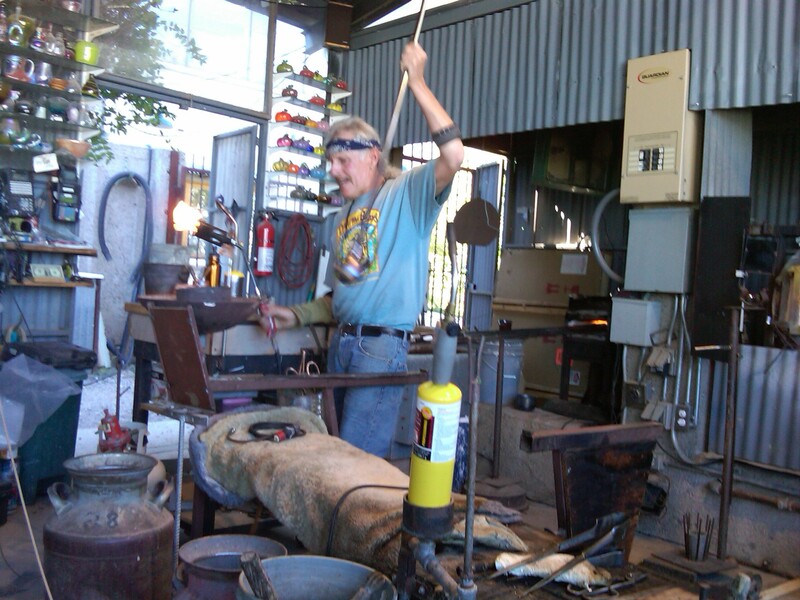 A glass blower works his magic in Jerome, Arizona. My wife and I saw same guy back in 1998 when I proposed to her. 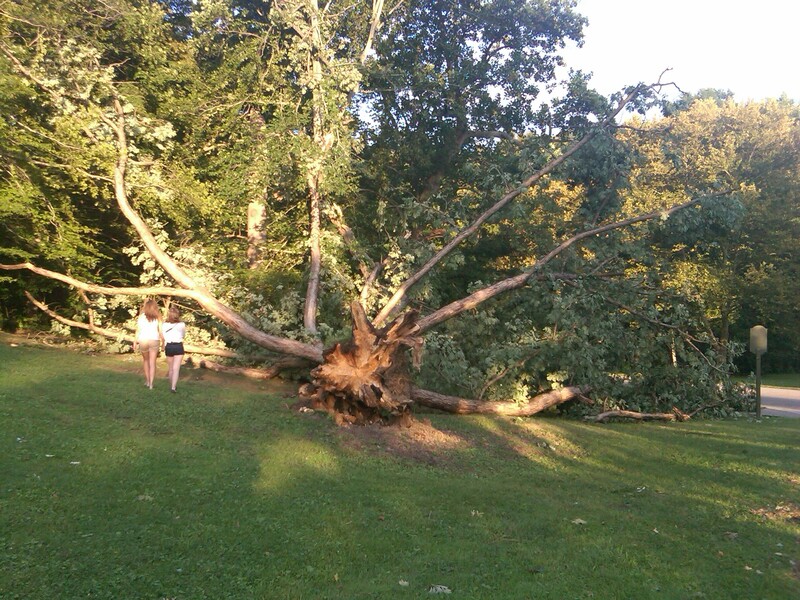 This tree was knocked down by a fast-moving storm that hit Louisville, Kentucky, over the weekend. 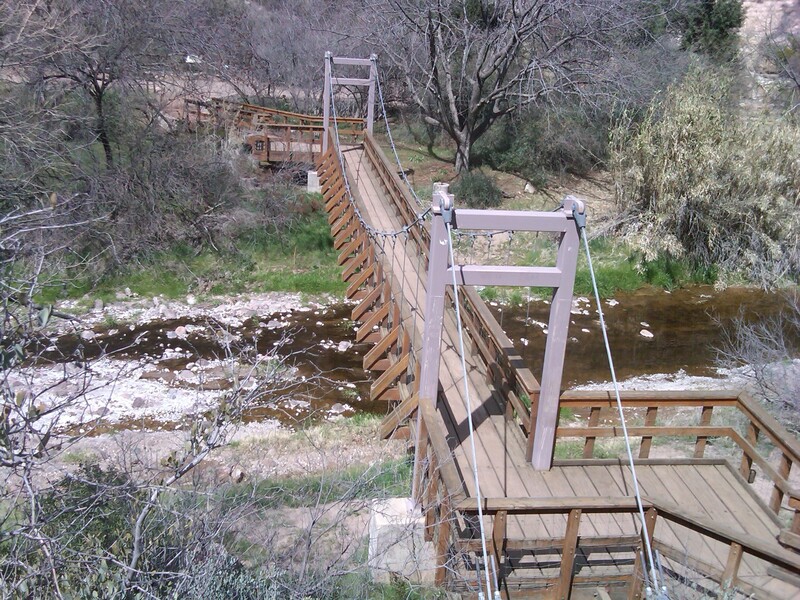 This pedestrian suspension bridge spans Queen Creek at Boyce-Thompson arboretum. I did a double take when I noticed where the video camera is located on Barbie. I won't say anything else for my own protection. Yeah, I know, I haven't been blogging for the last few months. I never planned to stop; life just decided to slap me in the face with work and parenting. The kids are doing great in school and enjoy after school tennis and other activities. I want to get back to writing this blog, but I've been rethinking the content. No conclusions as of yet. 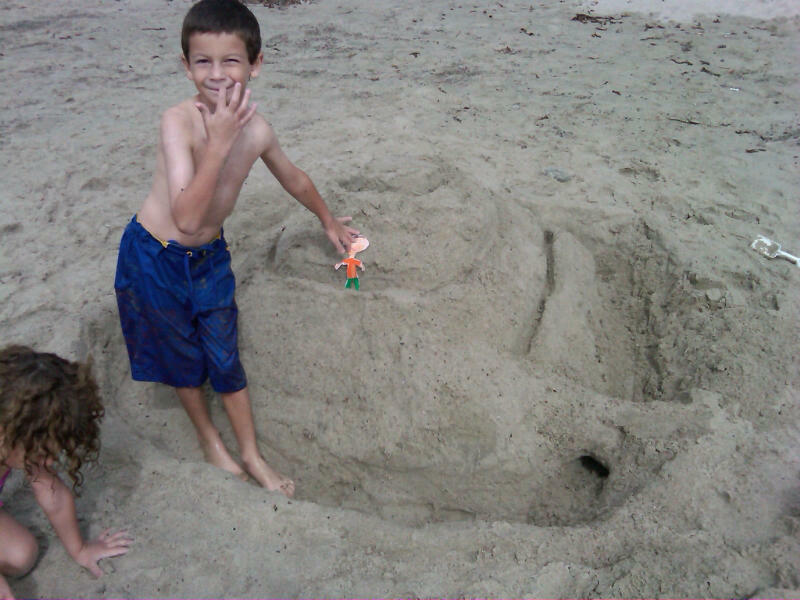 It looked better before some kids smashed the top. Seth has been taking Flat Stanley around for a friend. While officially four million more Americans – many of them children – found themselves in poverty from 2008 to 2009, the number is probably higher. The official total number of Americans in poverty is now 44 million, reports The New York Times. That 1-in-7 Americans are poor number is based on the federally-determined poverty level. For a family of four, that would be an income of $22,050 or less a year. Now, I know it’s possible to live on that much, but let’s look at the numbers. In my neighborhood, the annual rent runs about $1,800 a month, which totals $21,600 a year, leaving $37.50 a month for electricity, water, gas, transportation, insurance and food. Okay, so my mythical family can’t live in my part of town unless they have well-heeled relatives. Some of these places are nicer than others. Still, it’s especially depressing that it would cost $500 a month to squeeze a family of four into a 1-bedroom Apache Junction house. We left for school early so Lael could get some quality playground time. As we’re walking, we spot a friend of Lael’s up ahead. The kids decide to run after her. In less than a minute, Seth trips on the hard concrete sidewalk and immediately starts crying. Even before I take a closer look, I can see a gouge just below the kneecap – that’s going to leave a scar – but his face and hands seem okay. I put Seth’s backpack on one shoulder and my 8-year-old on the other before trudging uphill back to the house. Lael breaks into a trot every now and then to keep up. At home, we clean and treat the wound, before piling into the minivan. I walk Seth over to his “cove” and start walking Lael over to her classroom area. That’s when I look down and notice my leg. It is covered in Seth’s rusty-brown blood. Whoops. Fortunately, no one notices, though Lael excitedly tells her friend – the one we were chasing – all about what happened. The story apparently makes up for the lost playground time. About 25 years ago, I came to the realization that I was getting headaches from dehydration. The problem started way back in 1986, after I first moved to Arizona. I primarily blamed the dry heat, of course. After all, it was not always obvious how much I was sweating; the only real clue was salt-encrusted skin. I’ve been checked for diabetes several times, but always get a clean bill of health on that account. About seven years ago, though, the problem became far more scary after I was hospitalized for rhabdomyolysis, a muscle complication of extreme dehydration. For whatever reason, my body does a good job of telling me when I’m mildly dehydrated, but not when I go beyond a certain point. About the only clue I have after that is the color of my pee. Since the hospital incident, I’ve learned to be as careful as possible. I force myself to drink water even when I don’t “feel” thirsty. Ironically, I will get very thirsty after taking that first drink of water. I also avoid sugary drinks, coffee, many types of tea and diuretics, (not counting fruits and vegetables.) I also put very little salt in my food and buy a lot of low-sodium products. It’s a lot more difficult when eating out. Last night for example, I ordered a very salty pasta Jambalaya dish at California Pizza Kitchen. I didn’t think about the possible salt content when I ordered it, but I certainly could taste it. Pasta also is a problem, probably because it takes a lot of water to digest starch. This morning, I woke with a headache. I’ve already consumed about a quart of water, but I can still taste the salt in my mouth. Even as I write this, I’m barely keeping the headache at bay. The medical literature seems to back me up on this. Avoiding salty foods is one way to avoid getting headaches, according to WebMD and the Mayo Clinic. But I’m curious: Does anyone else have this problem? Does the extreme saltiness of restaurant food leave them extremely thirsty or reaching for the Tylenol? Do you get headaches when you eat out? By now I’m sure most everyone has heard about the half billion eggs being recalled by a couple of Iowa farms. So far, about 2,000 people have reportedly become sick, according to The Wall Street Journal. The Food and Drug Administration only says hundreds were sickened. But while driving to check on a print job today, I heard Margaret A. Hamburg, the Food and Drug Administrator, on National Public Radio warning Americans on how to handle eggs safely. Wash everything a zillion times. Cook eggs until they’re charcoal. Forget over easy. This is the kind of food system we now have. Think of it: It’s not safe to make mayonnaise at home, because salmonella might be crawling around in your raw eggs. Ditto Hollandaise sauce. 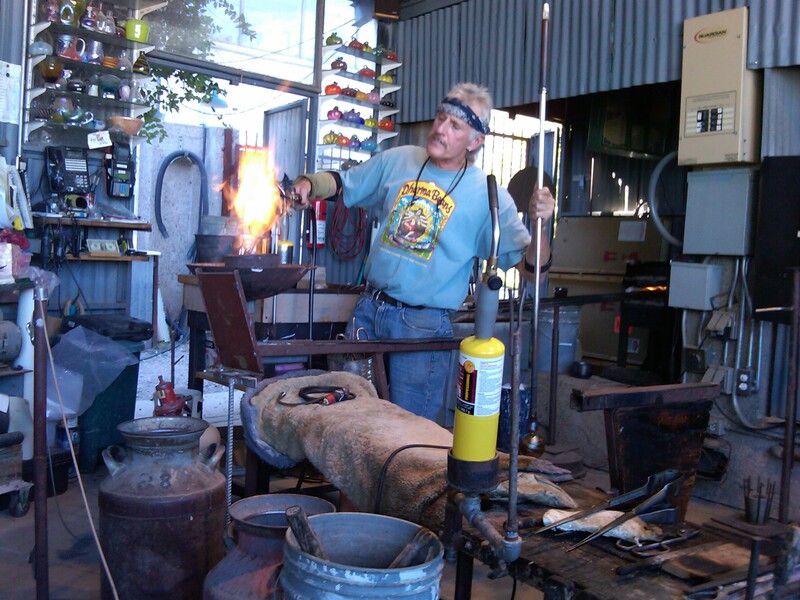 Yes, I'm still around; I just haven't had much time to blog lately. Our kids are just finishing up their second week of school already. Our routines should settle down soon, which hopefully will give me time to blog again.